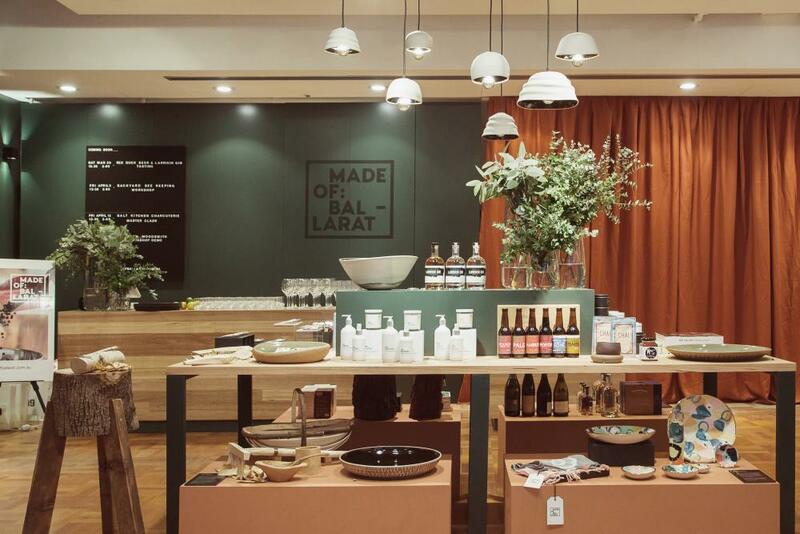 Visit Ballarat, is bringing the best of the region to Melbourne’s city centre with the Made of Ballarat Pop-Up Shop. Open until 24 April 2019, the store will boast an eclectic collection of locally made products, tastings and Meet the Maker events. The Made of Ballarat Pop-Up Shop will transcend the everyday shopfront on Little Collins Street into a creative hub. Inspired by the workshops and studios of Ballarat’s makers and artisans, the space is intended to stimulate the senses and give people a taste of what they can expect when they visit Ballarat. The Pop-Up Shop’s Meet the Maker series gives guests the opportunity to meet local artisans and learn about their craft; offer tastings from Kilderkin Gin, Latta Wines, Salt Kitchen Charcuterie and more; and host Q&A sessions with Ballarat artisans from businesses such Backyard Beekeeping and Green Woodsmith.